Sweet potatoes are one of the healthiest foods to eat. They are an excellent source of vitamin A, as well as a good source of vitamin C, manganese, copper, pantothenic acid, and vitamin B6. Sweet potatoes are also a good source of potassium, dietary fiber, niacin, vitamin B1, vitamin B2, and phosphorus. Because they have so many health benefits, sweet potatoes are considered a superfood. 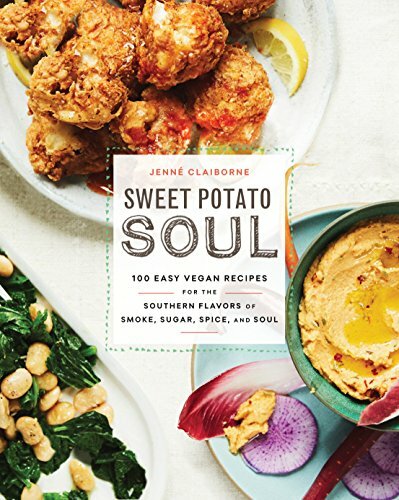 Unfortunately, some cooking styles raise the fat and sugar level in sweet potatoes. Because of this, you won't be getting as many nutrients as sweet potatoes have to offer. One great way to eat sweet potatoes without losing the nutrients is to steam them. If you have never steamed sweet potatoes before, you have come to the right place. 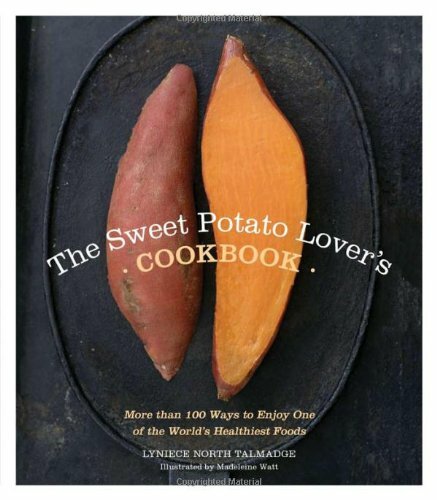 Today, I'll go over how to steam sweet potatoes, as well as additional recipes to try. Let's begin. Begin by peeling the potatoes. If you have a conventional potato peeler, this process will be much quicker. Otherwise, use a sharp knife to peel the skin off. Keep in mind that you don't have to peel the skin. The sweet potatoes are much smoother and better for mashing if there isn't any skin, but some people may like the texture of the skin. Also, the skin of potatoes has a lot of healthy nutrients too. If you don't mind having the skin stay on the potatoes, you can skip this process. The next step to steaming sweet potatoes is to slice them. It doesn't matter how large each slice is. Usually, you'll be able to slice each sweet potato into three or four pieces. Once you slice your first chunk, be sure to keep the slices around the same size. That way, they will all cook evenly. Steaming the sweet potatoes means exposing them to hot steam without submerging them in the boiling water below them. To do this, first put your sweet potato slices into a steam tray, which is a metal device that sits in a pot above the boiling water. Put the full steam tray in a large pot with two cups of water at the bottom. A small metal strainer will work too if you don't have a steam tray. Next, place the pot and steam tray onto the stove over high heat. Put a lid on top of the pot. Once the water reaches a strong boil, reduce the heat to medium. Allow the sweet potatoes to cook until they are soft all the way through. Once the sweet potatoes are cooked, remove them from the stove and serve immediately. If desired, add some seasoning to the sweet potatoes. Such seasoning could be salt, pepper, garlic powder, rosemary, cinnamon, nutmeg, and cloves. Another option is to cook the sweet potatoes with chopped garlic or onions. The garlic or onions will help flavor the sweet potatoes. In order for you to have the perfect baked sweet potato, you don't have to wait long for it to cook. Sticking a sweet potato in the microwave is not only an option, but it is also a great way to quickly cook a nutritious meal. Here are the steps for how to bake a potato in the microwave. The first step to cooking the sweet potato is to wash it under water. Since you will be leaving the skin on, it is important that the potato is completely clean. Pat it dry with a paper towel once it is washed. If you don't put holes in your sweet potato, the potato will explode in the microwave. To make holes, simply poke your fork several times into the sweet potato. Another option is to slice the potato a little with a knife. Take a full-sized paper towel and dampen it with cold water. Gently squeeze out the excess water. Lay the paper towel flat on a microwavable plate and place your sweet potato in the center of the paper towel. Cover the potato by loosely folding the sides of the paper towel over it. The wet paper towel will provide a steaming effect when microwaving your sweet potato. This will also help prevent the sweet potato from shrinking. Keep in mind that you should never use aluminum foil in a microwave oven. This will cause sparking and is a potential fire hazard. Using aluminum foil will also break your microwave. Place your sweet potato in the microwave and select a cooking time. The cooking time will depend on how large the potato is and the power of your microwave. Most medium to large potatoes will take between 8 to 12 minutes to cook at full power. When it is about halfway done, take the sweet potato out to flip it. That way, the sweet potato will cook evenly. Once the sweet potato is done cooking, stick a fork in it to see if it needs to be in the microwave a little longer. The fork should go through easily and the center should still be firm. Take the sweet potato out of the microwave and let it cool. Remove the paper towel from it and let it cool for about 5 minutes. If you won't be eating the sweet potato right away, wrap it in aluminum foil so that it stays hot. Remember to never put the potato back in the microwave with aluminum foil on it. The aluminum foil should only be used once the sweet potato is done cooking. If desired, add some seasoning or toppings to your baked sweet potatoes. Melted butter, salt, pepper, sour cream, brown sugar, maple syrup, and even whipped cream are all great topping ideas. What's Healthier: Steaming, Boiling, Or Baking Sweet Potatoes? As I mentioned earlier, many cooking methods used on sweet potatoes can take out some of the nutrients that sweet potatoes have. So, what is the best cooking method for sweet potatoes? While steaming is one of the healthiest methods, the method that is considered the healthiest is to boil the sweet potatoes. Boiling retains most of the antioxidant power of sweet potatoes, compared to roasting and steaming. Keep in mind that boiling is not the same as deep frying. Deep frying is one of the not-so-healthy methods of cooking sweet potatoes. Remember when cooking sweet potatoes to leave the skin on if possible. Although some people may not like the texture of the skin, the skin has nearly ten times the antioxidant power as the flesh. Unfortunately, baking sweet potatoes can wipe out over two-thirds of the antioxidants in the skin. Baking can also cause an 80% drop in vitamin A levels, twice as much as boiling. Therefore, boiling is the best method for cooking sweet potatoes. Earlier, I mentioned a couple of the many health benefits of sweet potatoes. However, you may still be wondering how healthy sweet potatoes really are. Here is a list of the health benefits of this superfood. One study by Food & Nutrition Research found that purple sweet potatoes contain a specific group of antioxidants known as anthocyanins that have been shown to be beneficial to the eyes. Vitamin A deficiency is a serious issue that can cause blindness, as well as increase the risk of serious, sometimes fatal, infections. Sweet potatoes are a great source of vitamin A. Sweet potatoes contain a significant amount of magnesium, which is an essential mineral for normal body functioning. Magnesium can reduce stress and anxiety, as well as depression. Studies have shown that the purple-fleshed sweet potato can help fight cancer. While a healthy diet always helps prevent cancer, sweet potatoes have been found to help manage cancer and prevent cancer from spreading. Another study found that sweet potatoes can help enhance your memory. Even if you don't have any issues remembering things, your memory may become even better if you add sweet potatoes to your diet. 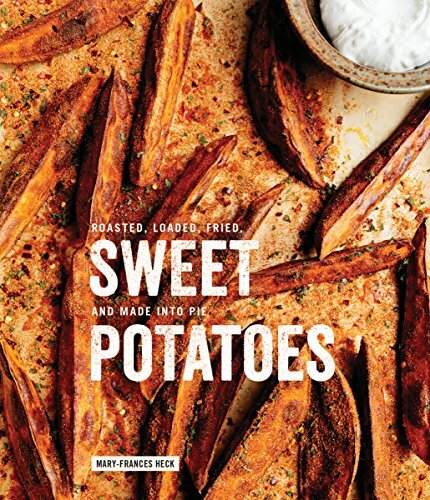 I hope this article on how to steam sweet potatoes has been helpful for you. Steaming sweet potatoes is not only a delicious way to eat sweet potatoes, but it is also one of the healthiest ways to eat them. In this article, I gave you the instructions for how to steam sweet potatoes, as well as how to cook sweet potatoes in the microwave. Steaming sweet potatoes is much easier than you may think. Once you learn how to steam sweet potatoes, you can experiment by adding different ingredients and seasonings with them. I hope you found this article on how to steam sweet potatoes to be helpful. Have fun!